Jeep is a distinct on and off road vehicle. It was used by the military in World War II. According to sources the word “jeep” was used as a military slang for new recruits or vehicles. Now, civilians around the world enjoy this unique form of transportation and entertainment. You can find them at beaches, camping grounds, the country, towns and cities. Jeep fans all over the world modify and upgrade their Jeeps by slapping on unique stickers, putting on all terrain tires, adding lift kits for higher clearance, putting on tubular bumpers and so much more. With so many options you can make your Jeep look totally different from anyone else’s. Perhaps this is why Jeeps are so popular and holds it’s value than most vehicles. The Jeep has been imitated by many motor companies around the world. The Land Rover was inspired by the Jeep. Toyota, Mitsubishi, Delahaye and Hotchkiss have produced Jeeps as well. Despite attempts by other companies the original Jeep is the most popular one that is still in production. Of the Jeep brand the most popular model is the Jeep Wrangler. The Jeep Wrangler is 100% manufactured in Toledo, Ohio. There is something unique about Jeeps that are imported into Japan. After they have been driven for a few years here in Japan they find a new home somewhere overseas. One might ask, “Why would I want to buy a used Jeep from Japan instead of the US?” The answer is simple. Vehicles are cared for more here in Japan. They are inspected every two years as well because it is the law in Japan. My good friend and client who lives in the UK purchases many Jeeps from Japan. The prices are very reasonable and the quality is great. Are you looking for a used Jeep? Consider getting one from Japan. Lexus is considered to be one of the best car brand in the world. It has also been considered to build one of the most reliable cars today. Have you ever wondered where the name Lexus came from? It comes from Luxury EXport to the US. (L-EX-US). Lexus is made by Toyota Motor Company and is headquartered in Nagoya, Japan. Nagoya is the third largest city in Japan. With new models coming out every year one might ask where all the used cars go to. Many used Toyota automobiles are sold at the Nagoya auto auctions and shipped overseas. The largest auto auction in Japan started in Nagoya. 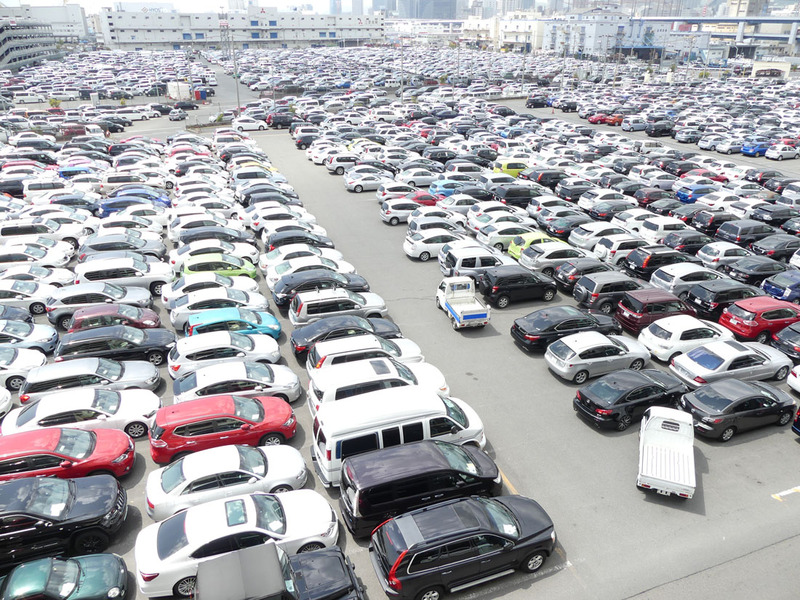 With increasing interest from customers all over the world the Japanese auto auctions continue to grow. Full service and export companies such as Provide Cars Ltd. provide customers with a peace of mind from buying to shipping the car to the customer’s port of choice. If you are looking for a right hand drive car that can only be found in Japan or looking to get a good deal on a Left Hand drive email or call Provide Cars. Their agents will be happy to help you. Cut out the middle man and import cars yourself to save money!